Day 145: The future’s so bright, originally uploaded by Sharon Gerald. My niece had an outdoor wedding last weekend and gave out these shades to the guests. 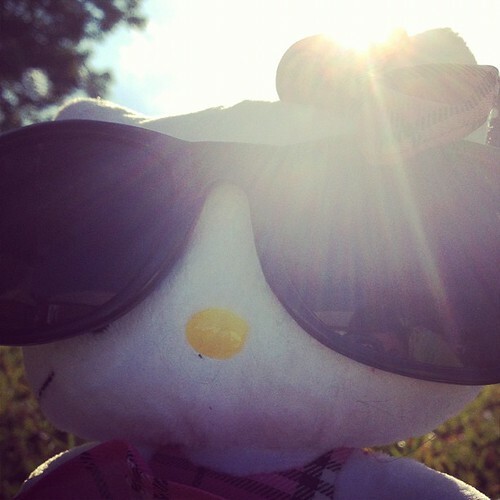 Hello Kitty needed hers today. Day 144: I’ve got the month of May.